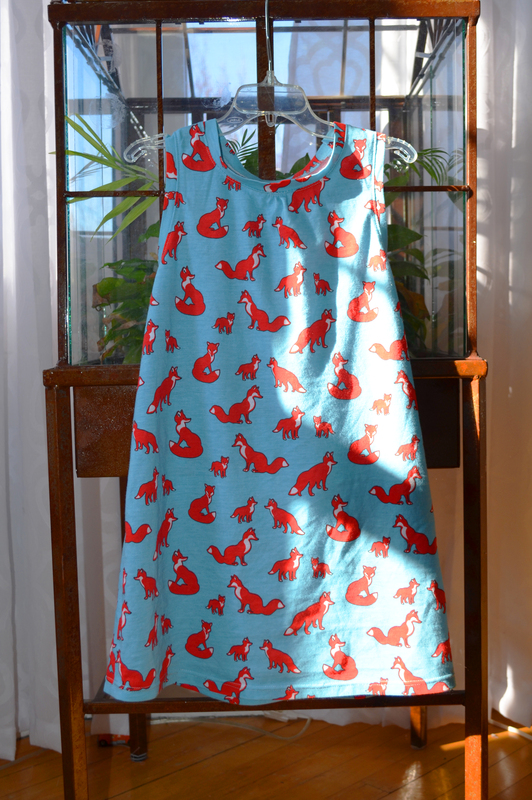 A few weeks ago I found an adorable fox knit on Girl Charlee and knew that it would be perfect for a lightweight summer dress for my animal-loving girl. After searching around for the right pattern*, I landed on this one from Crafterhours. It was exactly what I was looking for – simple but with a little detail and room for a busy little body to move and grow. I washed up the fabric, downloaded the pattern, and had a dress by the end of the evening. (I sized up to make sure it still fits at the end of the summer.) I added topstitching at the neck, arm holes, and back seam to keep the seam allowances flat. The dress was a hit! Miss R spent the next day and night in it. Turns out it’s not a bad nightgown, too. 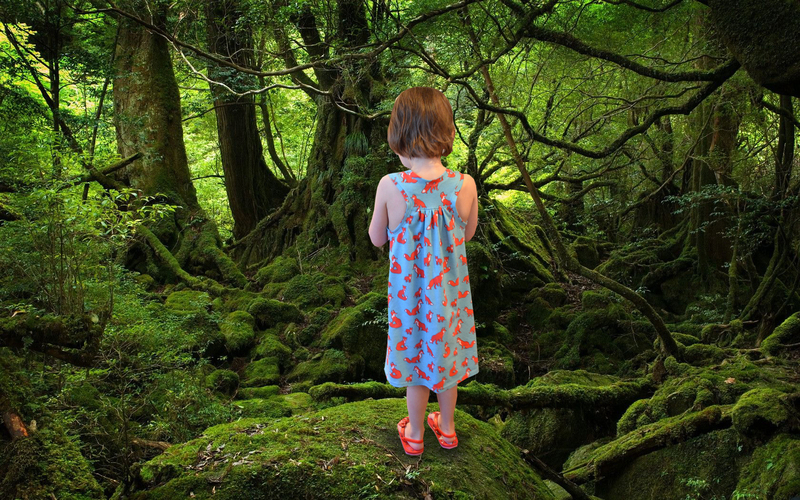 So about that opening picture: I asked Mr. K to photoshop our girl into a new environment because the original background was too distracting (aka, the living room was a disaster area). He came up with a forest right out of Lord of the Rings. Yep, that’s my guy. *There are many cute patterns out there that are designed for woven fabrics but I was surprised to find so few for knits. Some patterns can be adapted, but many can’t because they don’t account for the stretch that a knit provides. Just something to keep in mind if you have your heart set on a particular knit!